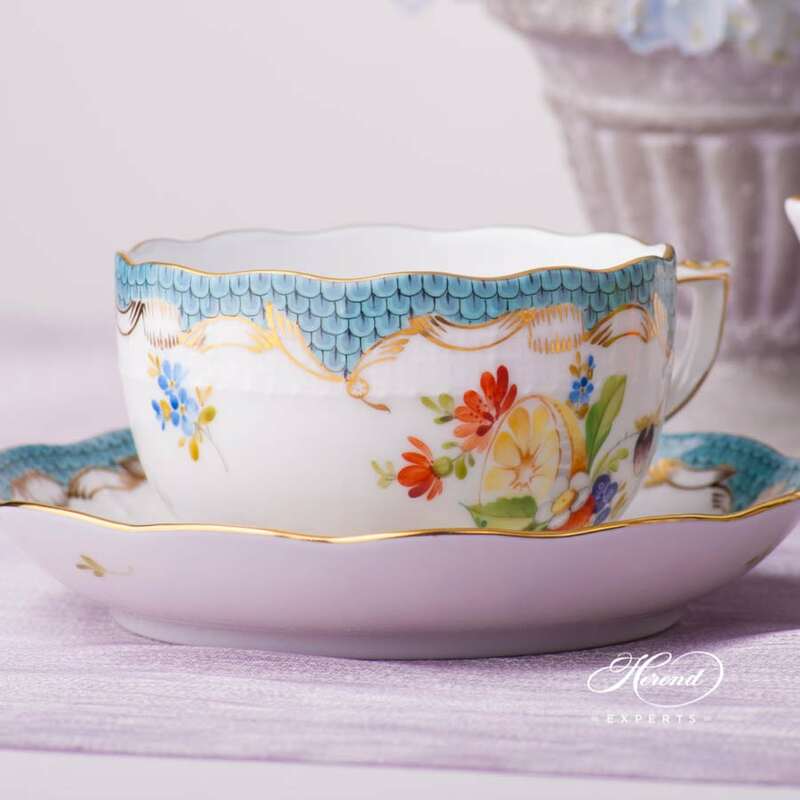 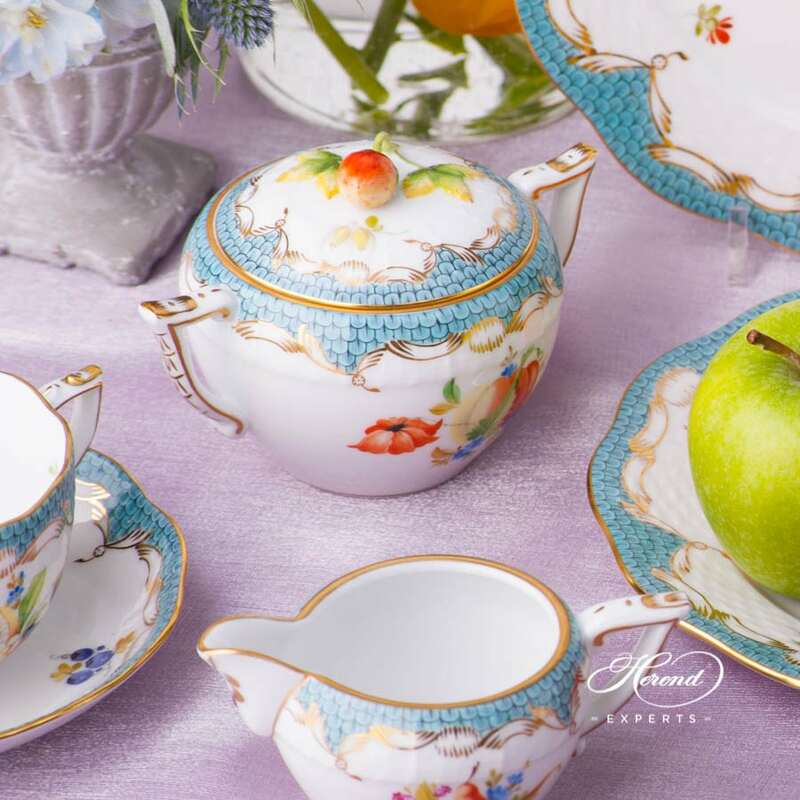 Herend fine china Tea Set for 2 Persons - Herend Fruits w. Turquoise Fish scale design. 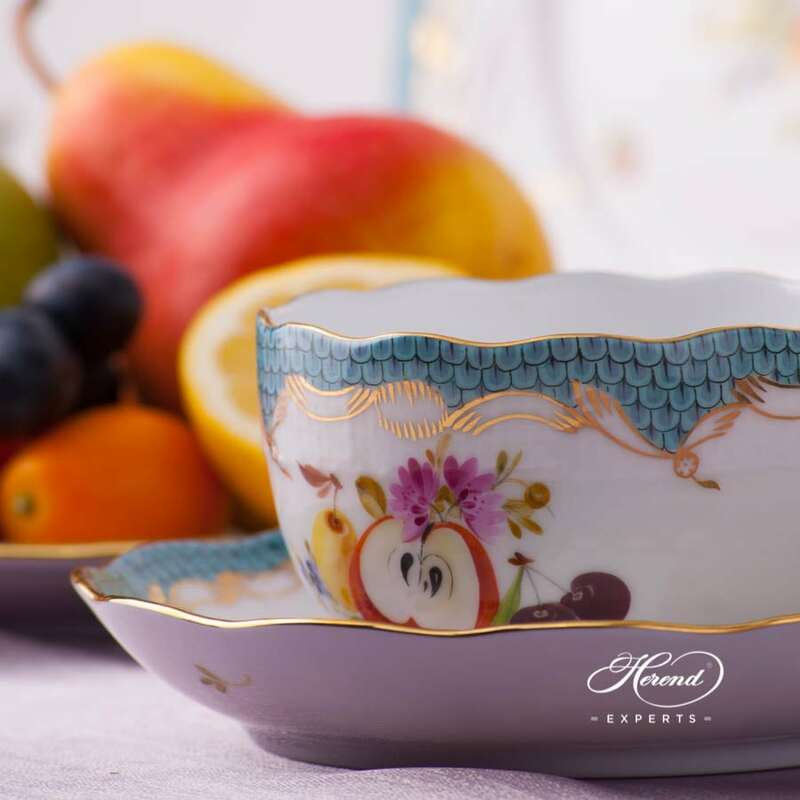 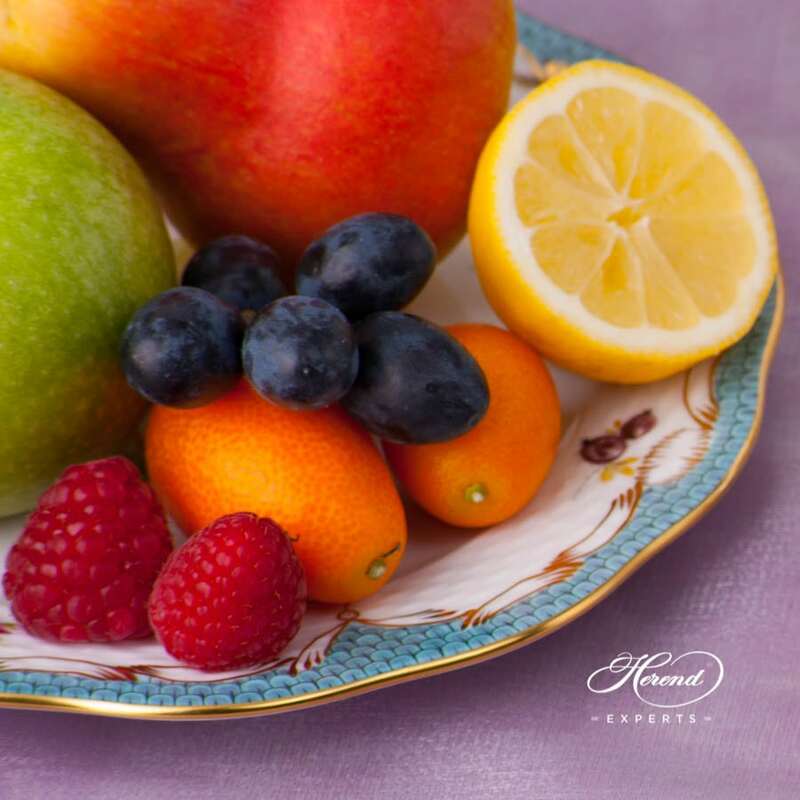 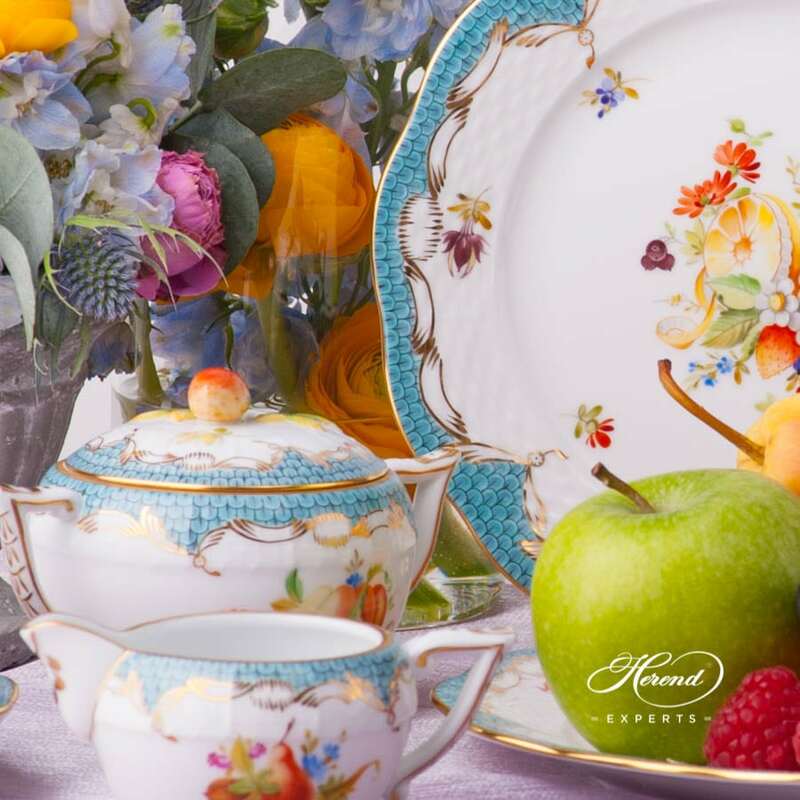 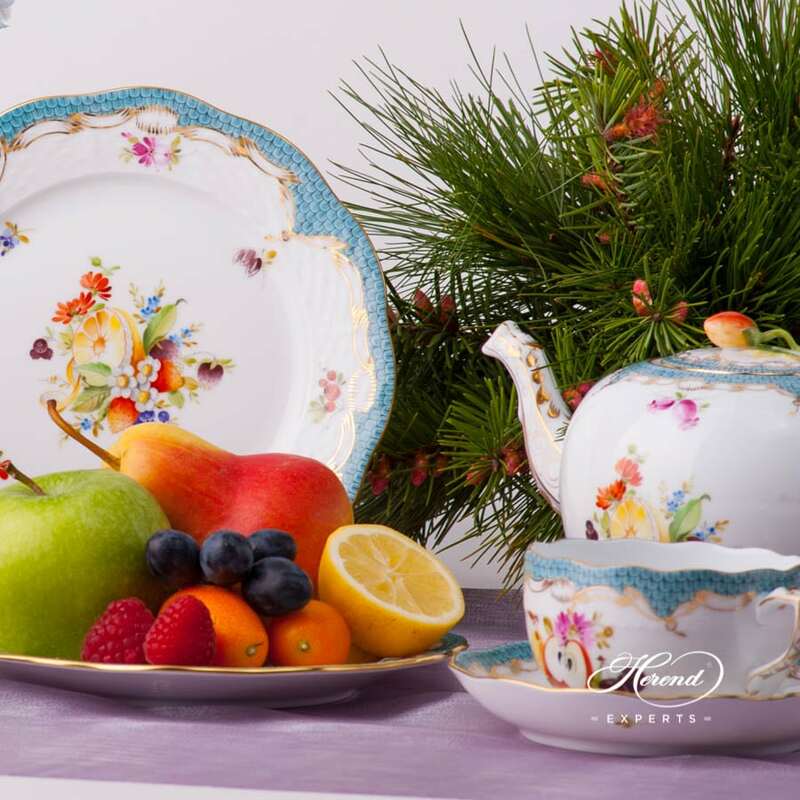 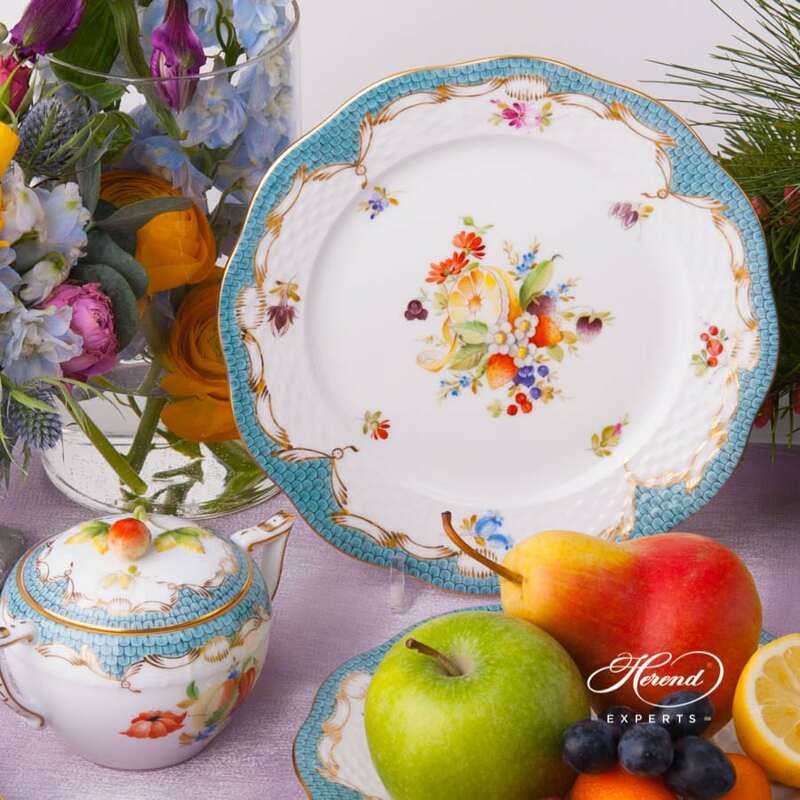 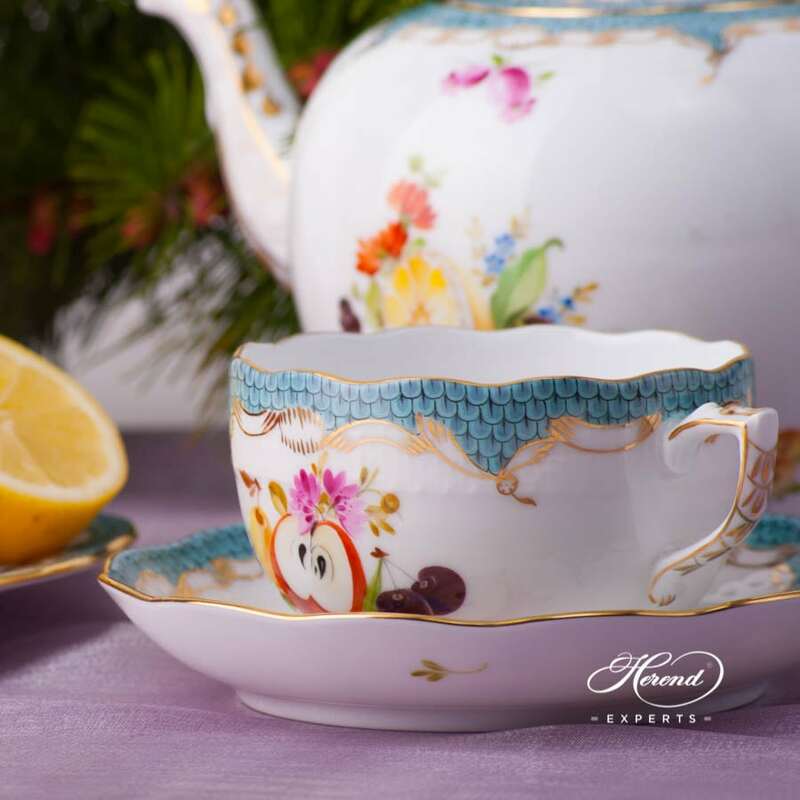 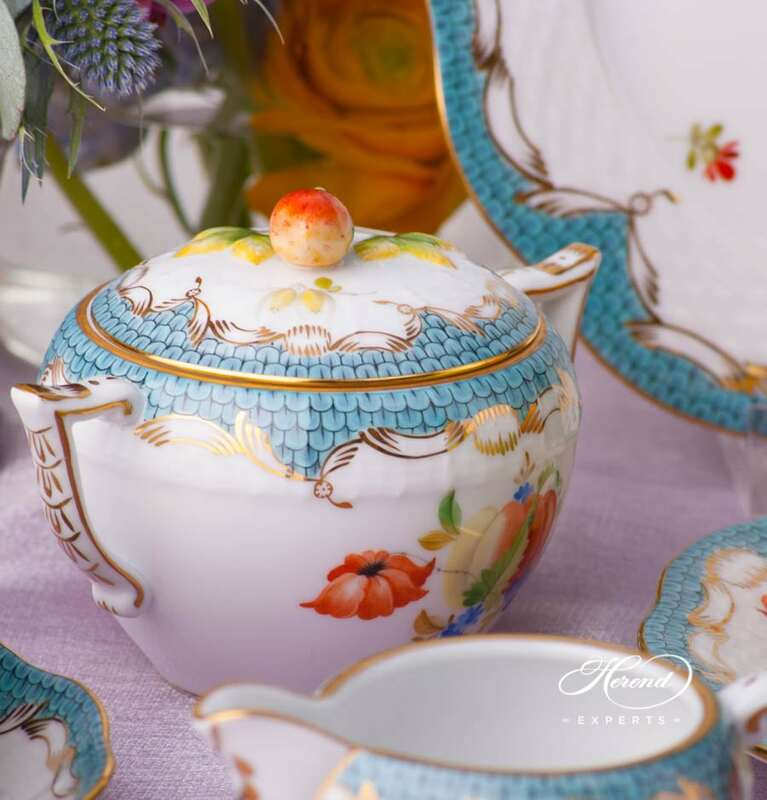 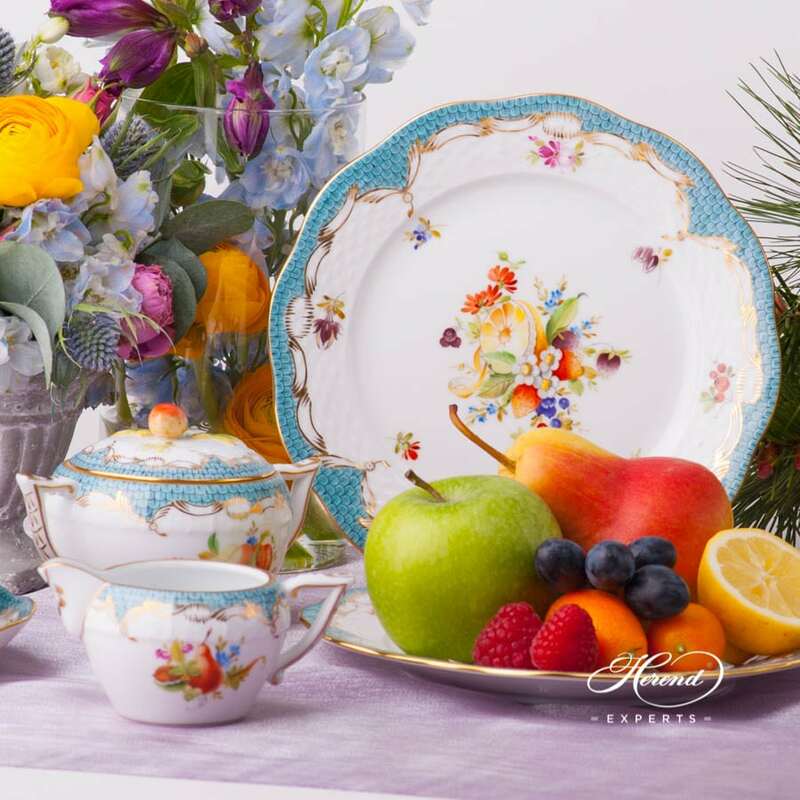 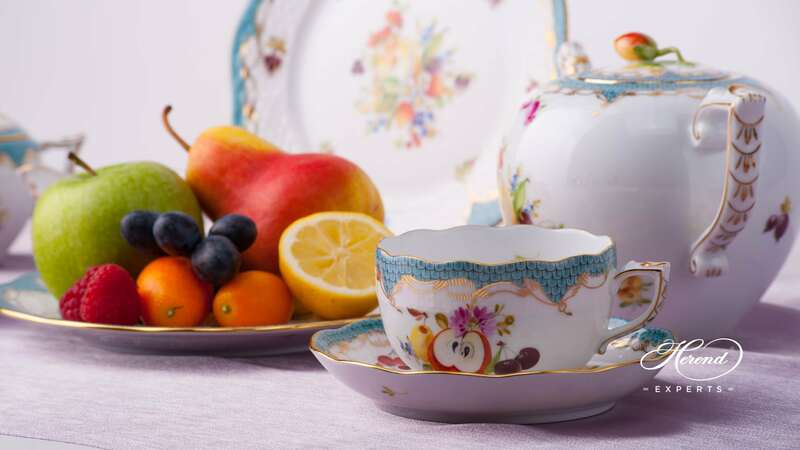 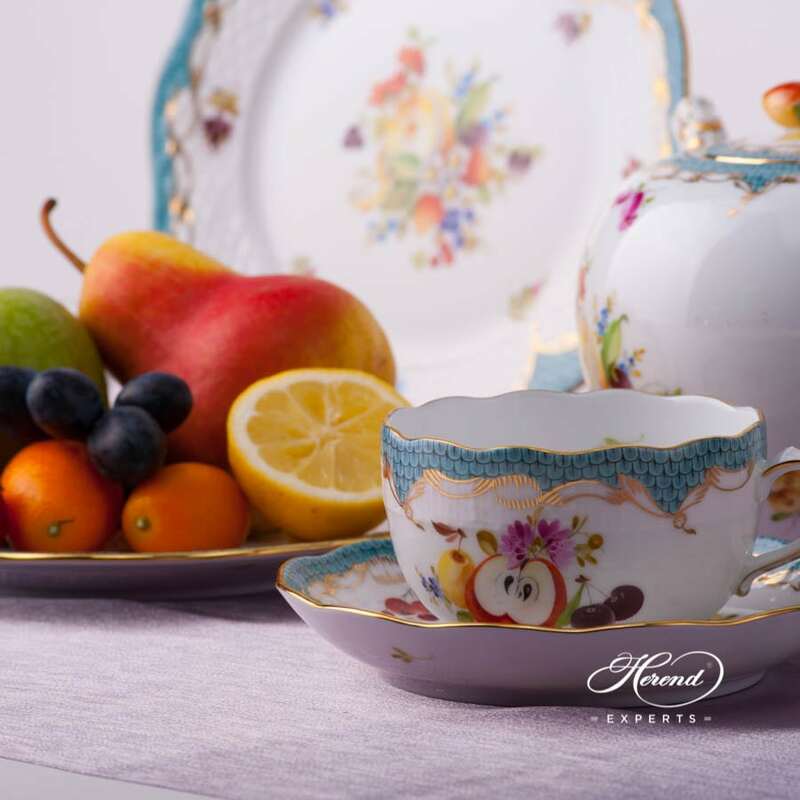 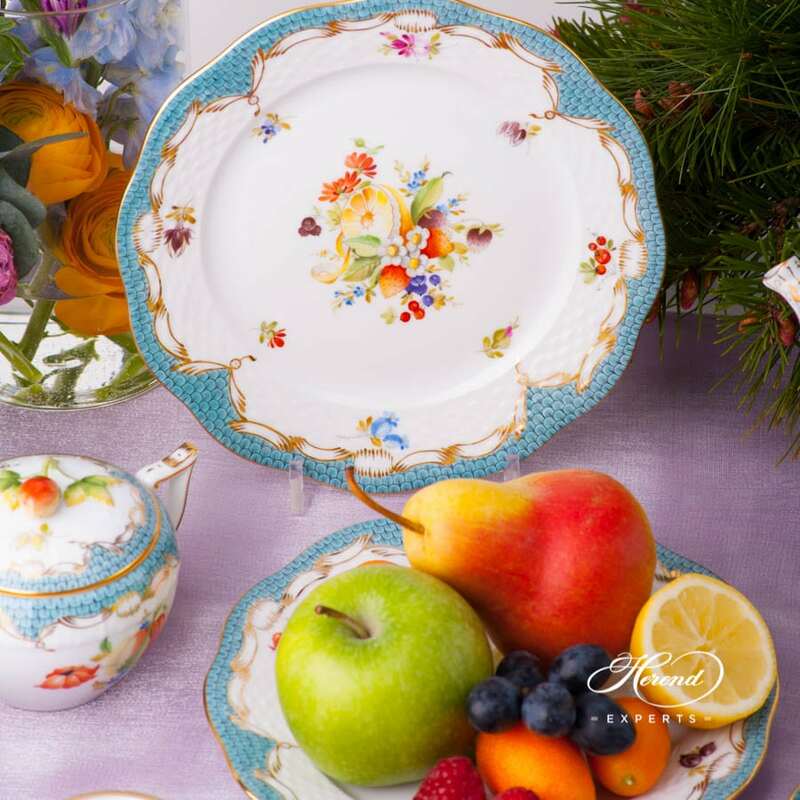 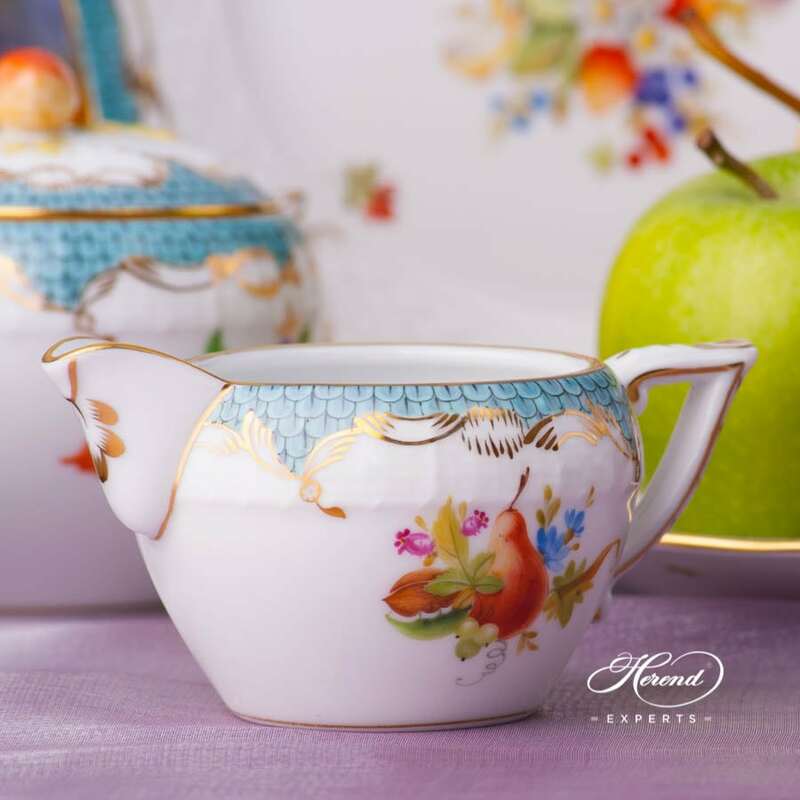 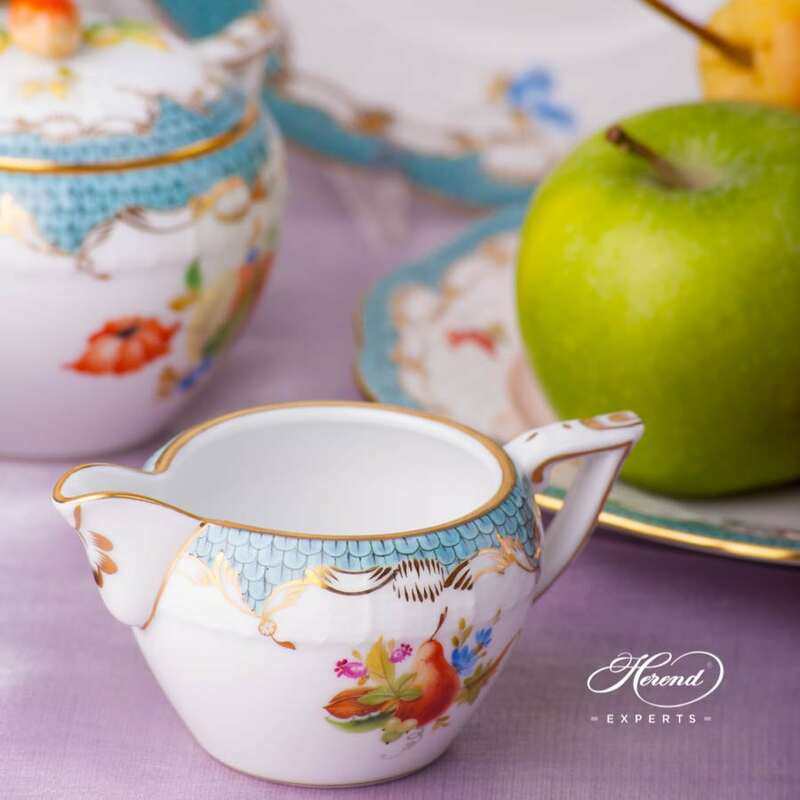 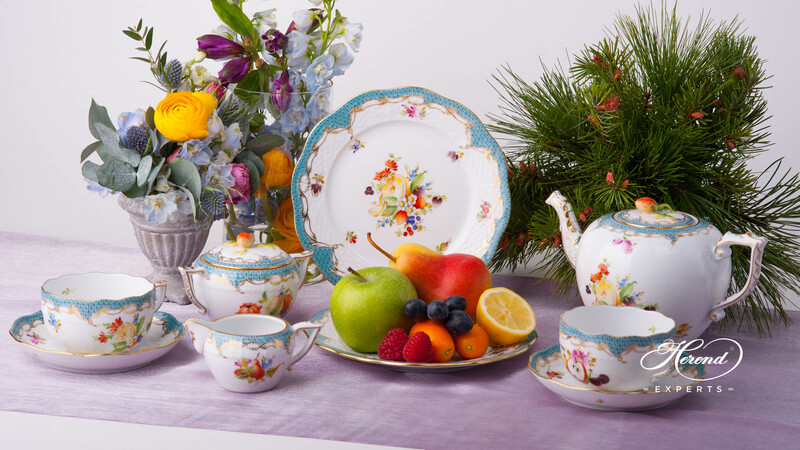 Herend Fruits CFR design painted with 12 different fruit motifs. 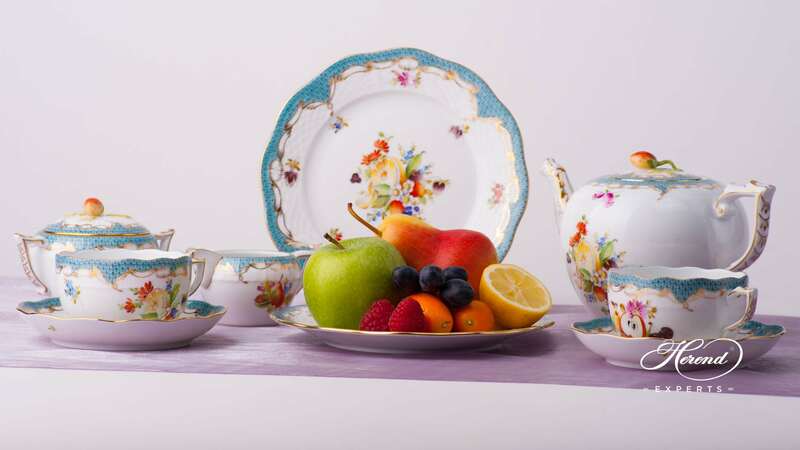 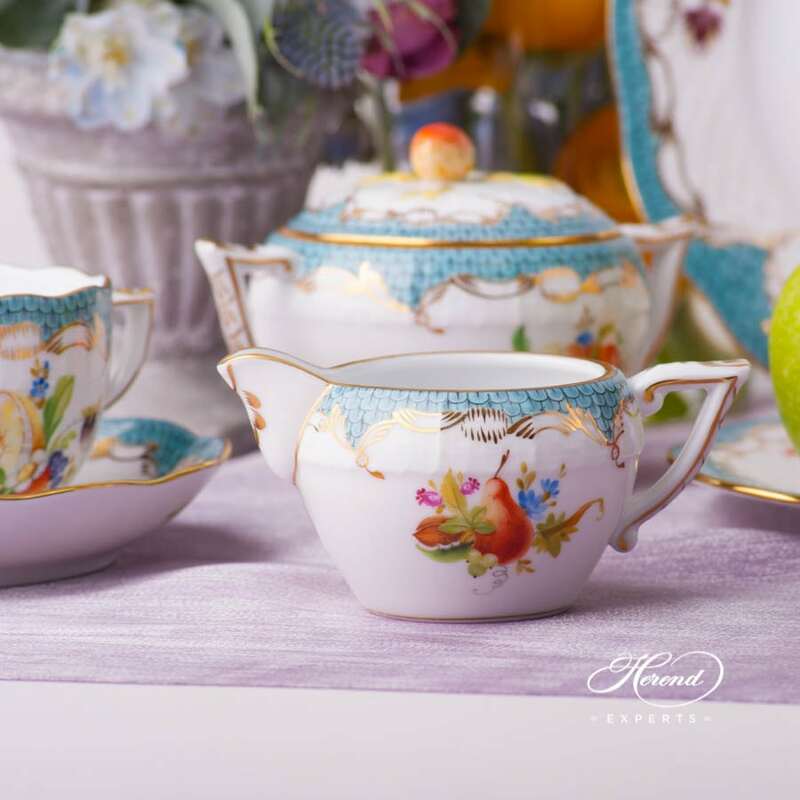 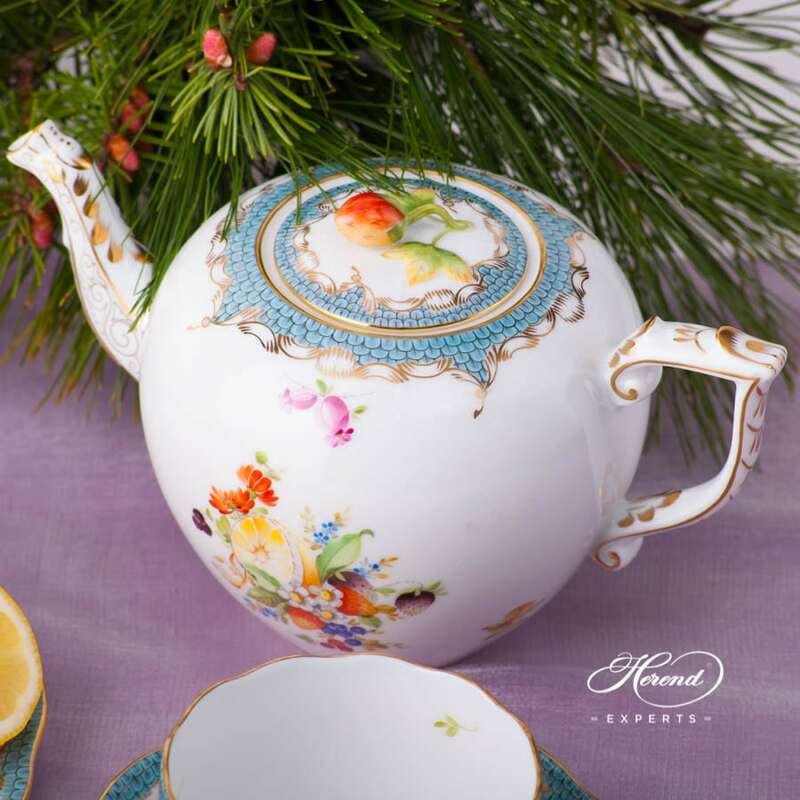 Fruits CFR-ET pattern in Tea, Coffee, Turkish Coffee, Espresso Sets and Dinner Services are available.